All images are copyrighted. Please do not print/copy without permission. If you would like to use one of my images, there is a contact link at the bottom of this page. Thanks! Having lived over 18 years in Europe, I have come to appreciate many things about where I grew up. From the vastness of the prairie to the beauty of telephone lines crisscrossing the evening sun, America will always be dear to my heart. When I am asked to sit still for long periods of time, I always find myself drawing outlines of everything around me in my head. I often then pull the lines away from the reality around them and see only the outline that I have created. It is a bad habit in many ways as it can often be distracting, especially when I should be listening. However, it is a way that I have been visually drawing the world around me since I was little. 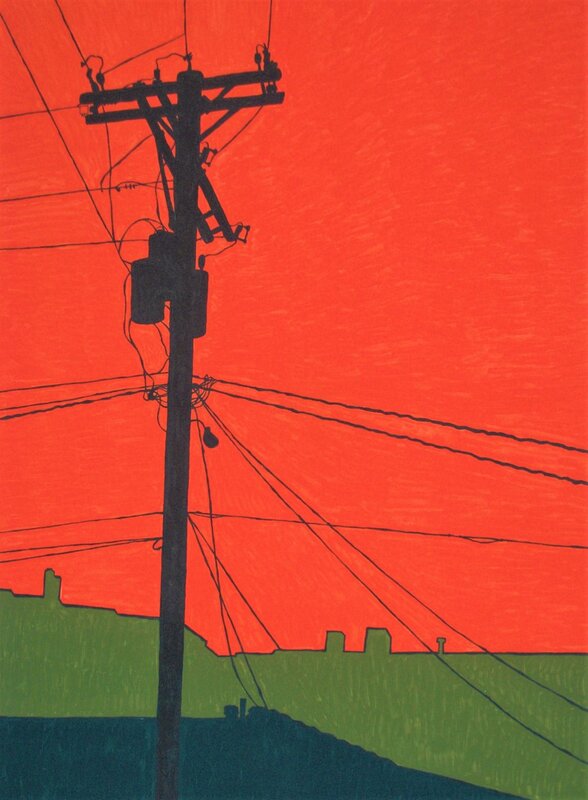 Linocuts are a way for me of taking those lines that I see in my head and projecting them to paper. “Janzen Reunion” Clownfisch Magazine, Issue 1, 2007. Photography and text. In 2004 I was asked to do the photography for our family reunion. I come from a large family and have over 30 cousins total from both sides. Our family has always been very close even though we live all over the globe. The photos from this event always stay fresh in my memory and continue to make me feel happy and loved. Over the years I have done many photobooks, but this one is still my favorite. 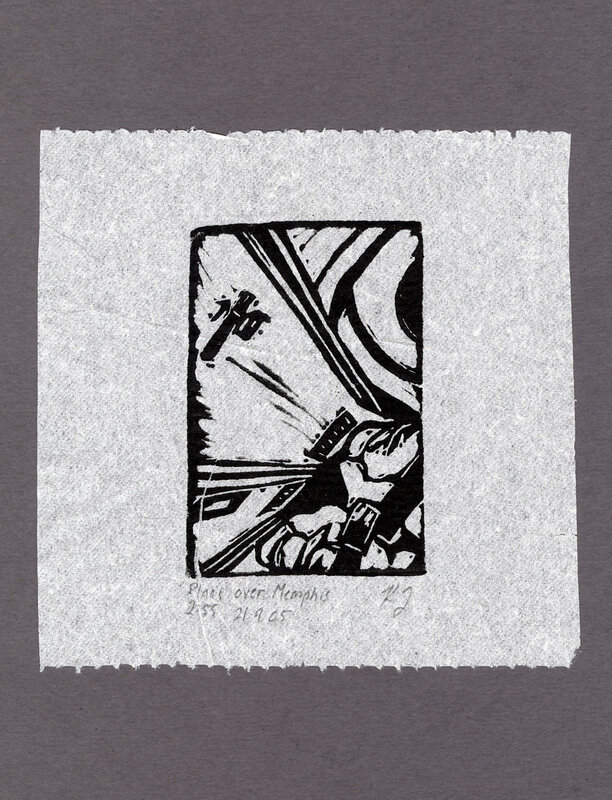 A moment in time caught on camera, then transferred with linocut onto the toilet paper from where it was taken. 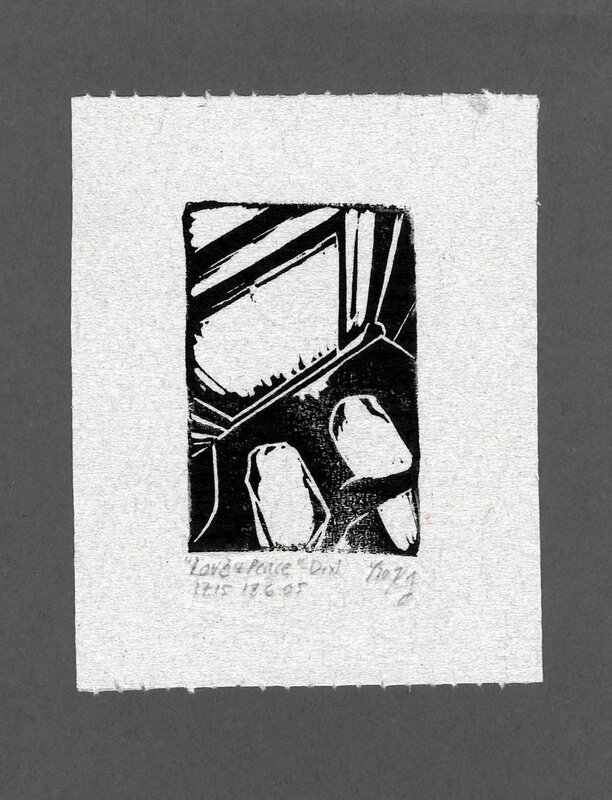 From a bathroom pub to a port-a-potty, “Weggespült, or “Flushed” as it called in English, was a fun and quirky linocut selfie exhibition and installation. There is also an exhibit book available for viewing. 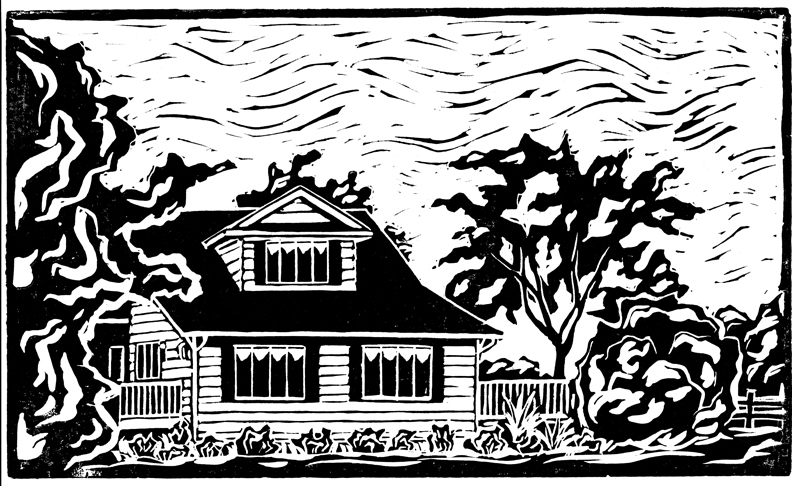 The illustrations for Little Jack Thomson’s Magnificent Brain are all linocut with watercolor. As Jack is autistic and often lost in his own world, I tried to create illustrations that reflect not only his dream of going into outer-space and becoming an inventor but also how this obsession overtakes his reality. Jack sees the world as very black and white and has a difficult time seeing himself being able to do the things he dreams of doing. 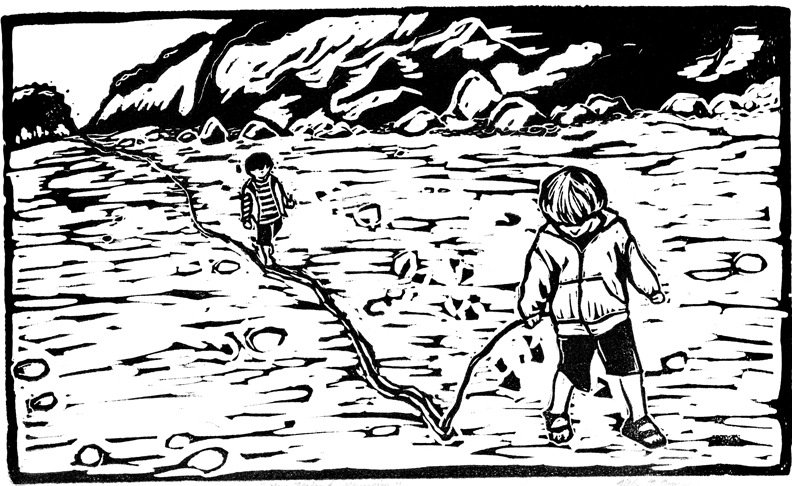 Linocut allows for strong contrast where lines are all clearly defined, just as Jack would like them to be. Throughout the story the pictures become more and more colorful as Jack realizes that he can be magnificent. For more info on Little Jack Thomson’s Magnificent Brain, check out the page under Current Projects or click below.